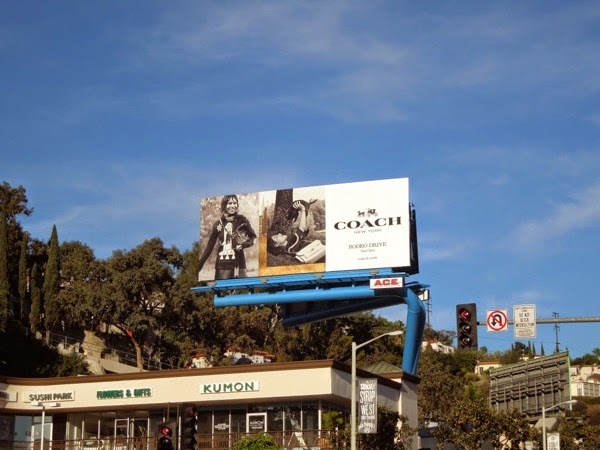 This holiday season Coach wants you to notice their luxury fashion brand and products in a big way. 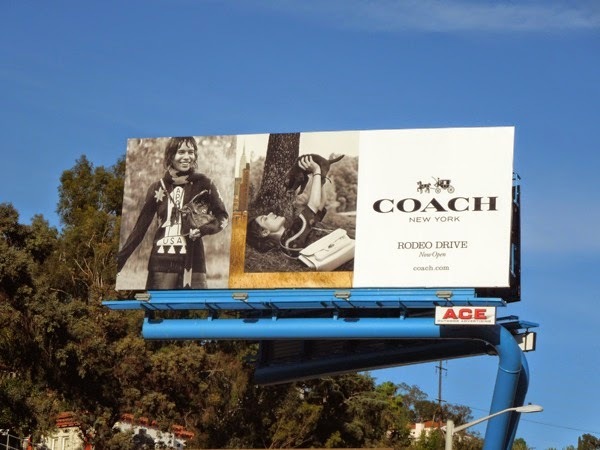 Not only have they flooded the skies of L.A. with their stylish outdoor ads at the perfect time of year for gift-giving, but the campaign also coincides with the opening of their new flagship designer store on Rodeo Drive in Beverly Hills. 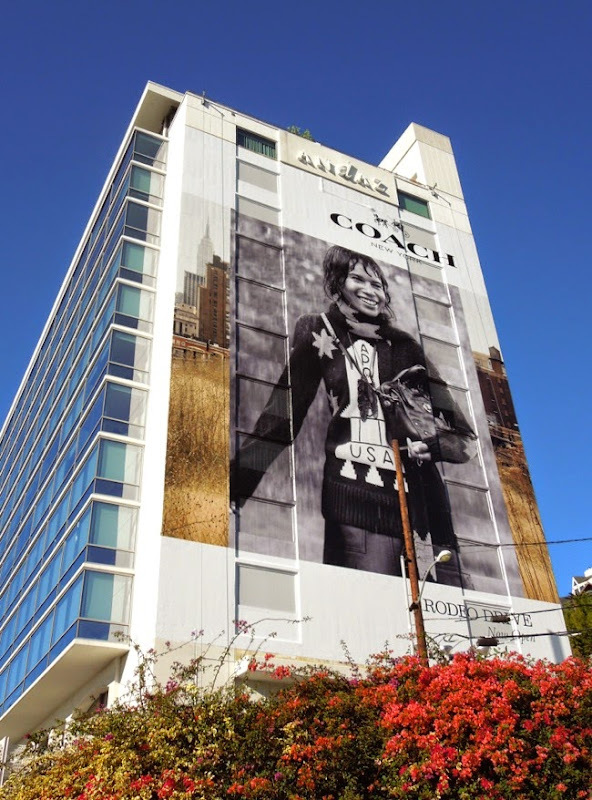 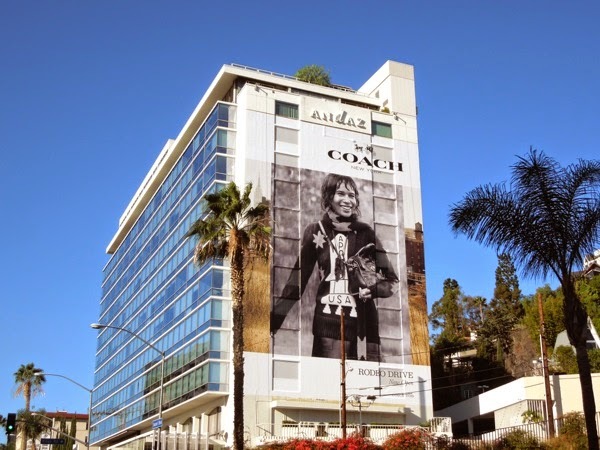 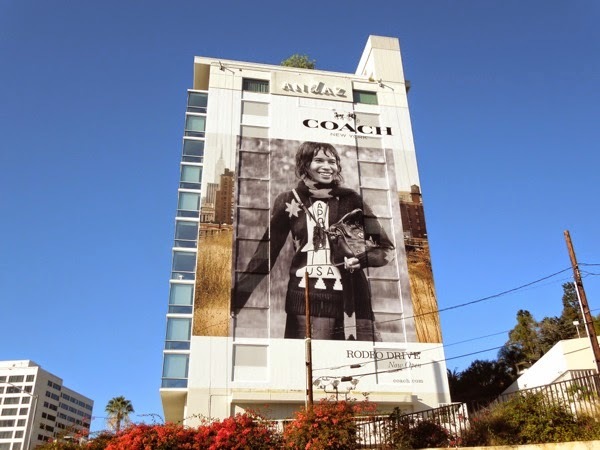 The giant-sized Coach wallscape was snapped on the side of West Hollywood's Andaz Hotel along the Sunset Strip on December 9, 2014. 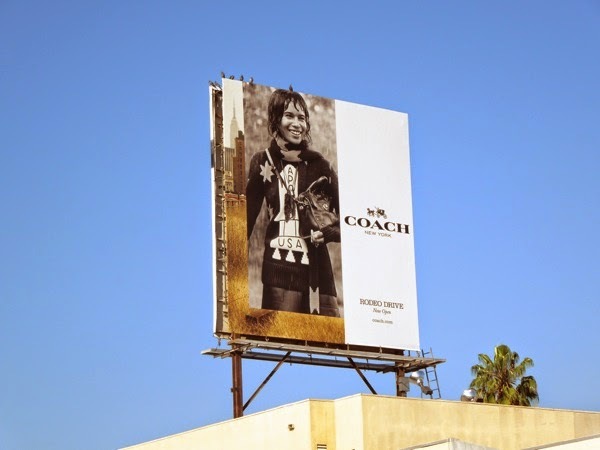 A smaller squarer U.S.A. sweater version and standard landscape billboard were spied along Beverly Boulevard and further west along Sunset Boulevard a few days earlier, plus the red handbag creative was snapped along Melrose Avenue on December 21, 2014. 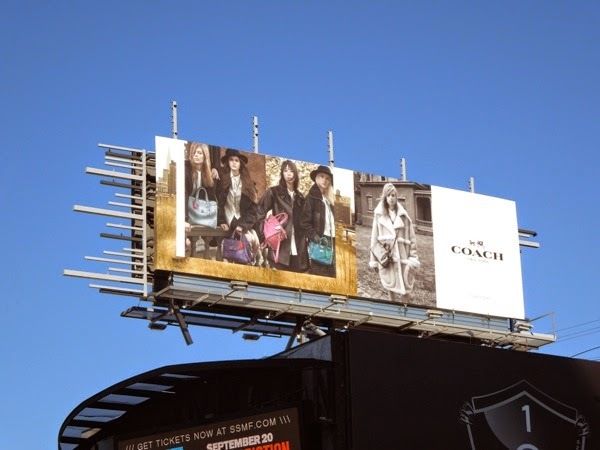 In fact they are not the first billboards to appear for the fashion brand known for their designer bags, shoes, accessories and outerwear, as this Fall/Winter billboard was snapped along Sunset Boulevard on September 30, 2014. 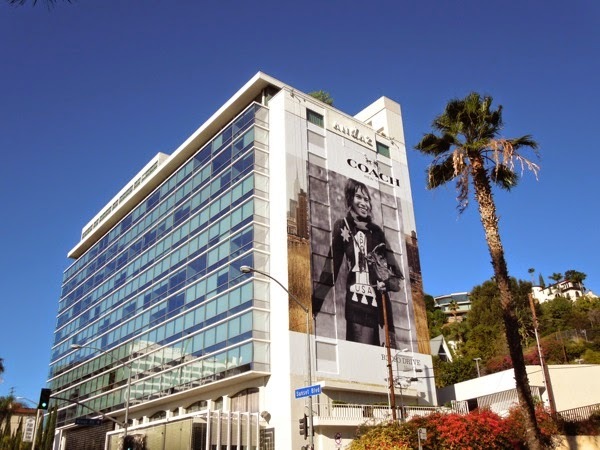 Sounds like the changes in the American label's leadership, including the addition of a new Executive Creative Director in the form of Stuart Vevers, may have led to a few changes in they way they do things. 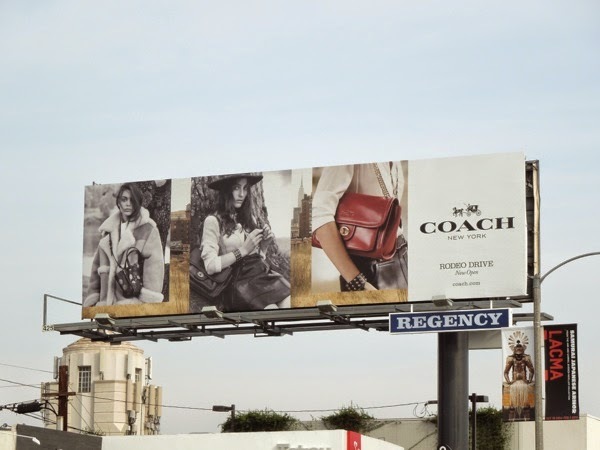 These billboards are certainly bold, confident and eye-catching and are certain to drive business, and Daily Billboard is sure that more than a few women can expect a new bag, perfume, wallet or other gift from Coach under the Christmas tree this year.